Traditional KANSEI methodology is an important tool in the field of psychology to comprehend the concepts and meanings; it mainly focuses on semantic differential methods. Valence-arousal is regarded as a reflection of the KANSEI adjectives, which is the core concept in the theory of effective dimensions for brain recognition. From previous studies, it has been found that brain fMRI datasets can contain significant information related to valence and arousal. In this current work, a valence-arousal-based meta-KANSEI modeling method is proposed to improve the traditional KANSEI presentation. Functional magnetic resonance imaging (fMRI) was used to acquire the response dataset of valence-arousal of the brain in the amygdala and orbital frontal cortex respectively. In order to validate the feasibility of the proposed modeling method, the dataset was processed under dimension reduction by using kernel density estimation (KDE)–based segmentation and mean shift (MS) clustering. Furthermore, affective norms for English words (ANEW) by IAPS (International Affective Picture System) were used for comparison and analysis. 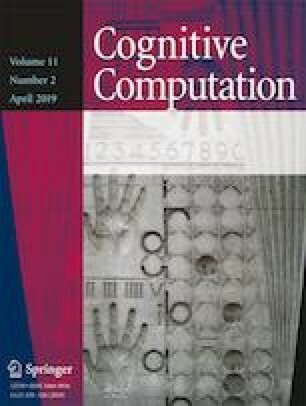 The datasets from fMRI and ANEW under four KANSEI adjectives of angry, happy, sad, and pleasant were processed by the Fuzzy c-means (FCM) algorithm. Finally, a defined distance based on similarity computing was adopted for these two datasets. The results illustrate that the proposed model is feasible and has better stability per the normal distribution plotting of the distance. The effectiveness of the experimental methods proposed in the current work is higher than that in the literature; and central points–based meta-KANSEI model combining with the advantages of a variety of existing intelligent processing methods is expected to shift the KANSEI Engineering (KE) research into the medical imaging field. This study was funded by the Zhejiang Provincial Natural Science Foundation (LY17F030014).